Double threats from both Honda, Hyundai. The 2019 Volvo S60 is one of the three finalists for North American Car of the Year. It’s down to nine. From an initial list of nearly 100 passenger car and light truck models, the 60 journalist members of the North American Car, Truck and Utility Vehicle of the Year jury have narrowed things down with the announcement of the three finalists in each of those three categories today. A number of the finalists were widely expected to make the cut, which was revealed at the Los Angeles Auto Show media preview, but there were a few surprises. Among other things, both Honda and Hyundai landed two models in contention. But even more notable was the fact that two of the three finalists for Utility Vehicle of the Year are all-electric. 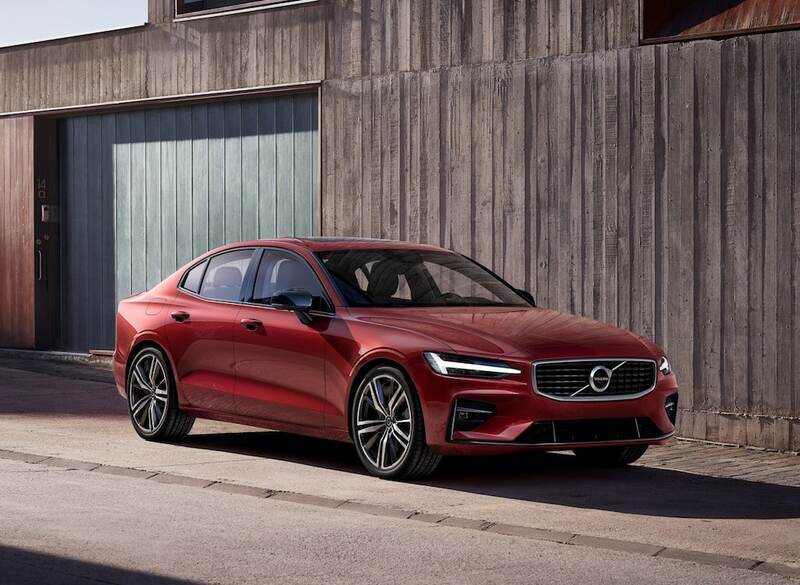 In fact, the nine include quite a few “electrified” models, ranging from the mild-hybrid Ram 1500 pickup to the all-electric Jaguar I-Pace, signaling the way battery technology is rapidly moving from niche to mainstream. The Car of the Year category tends to draw the big headlines and, as the NACTOY jurors’ choices were revealed for the 25th time that is likely to remain the case – even though passenger cars now comprise a declining share of the U.S. automotive market. The Genesis G70, a Korean sports compact that is taking aim at the vaunted BMW 3-Series – and which just yesterday was named Motor Trend Car of the Year. Light truck sales have been building for decades, though it’s really only been since the end of the Great Recession that they’ve come to dominate the market. The Ram 1500, the full-size pickup that landed honors as Motor Trend Truck of the Year earlier in the week – and which uses a new, 48-volt mild hybrid system. If trucks helped build and keep American going, however, “SUVs are the financial engine of the industry,” said NACTOY Treasurer Kirk Bell, collectively ringing up about half of all new vehicle sales. The Hyundai Kona and the all-electric Kona EV which can deliver almost 240 miles of range per charge. Notably parent companies Honda and Hyundai each have two models among the finalists, the former with the Insight and Acura RDX, Hyundai with the Kona and the Genesis G70 — the latter the latest entry from the upscale brand spun off several years ago. Winners of the three NACTOY categories will be revealed during opening ceremonies of the North American International Auto Show in January. This entry was posted on Wednesday, November 28th, 2018 at and is filed under Acura, Auto Shows, Automakers, Automobiles, Business, Chevrolet, EVs, GMC, Genesis, Honda, Hyundai, Luxury Vehicles, Markets, New York, Personalities, Pickups, Ram, SUVs, Sales, Sedans, Technology, Trends, U.S./North America. You can follow any responses to this entry through the RSS 2.0 feed. Both comments and pings are currently closed.